Many thanks to Tim aka "DoubleT" from our forums for commissioning another (he previously commissioned the awesome "Animal Kingdom") Aussie modern classic, 2005's "The Proposition". It can be best described as an Australian flavored Western, sharing many similarities with the American genre while bestowing the style with the unique characteristics of the Australian landscape and it's own history with outlaws and indigenous people. Starring Guy Pierce, Danny Huston, and Sam Winstone, it is bleak, unforgiving, at times enigmatic and impenetrable. 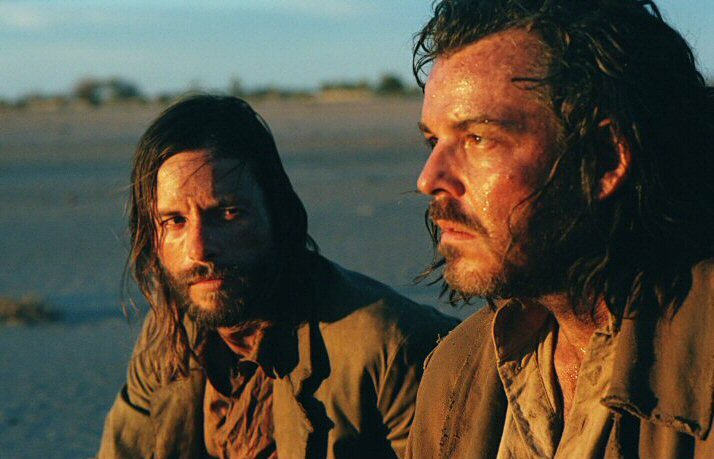 If you like "Unforgiven", "3:10 to Yuma", "True Grit" or any of the gritty modern Westerns, you'll no doubt be as absorbed as we were. Thanks again for your support, Tim! If you'd like to commission your very own podcast, check out our shop to get all the details.